"A non violent multiplayer shooter where water guns replace machine guns!" 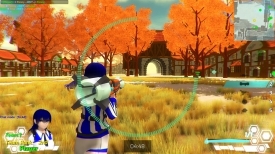 Battle Splash is a multiplayer third person shooter game with a difference, rather than shooting to kill you shoot to splash using an array of water guns and water bombs. 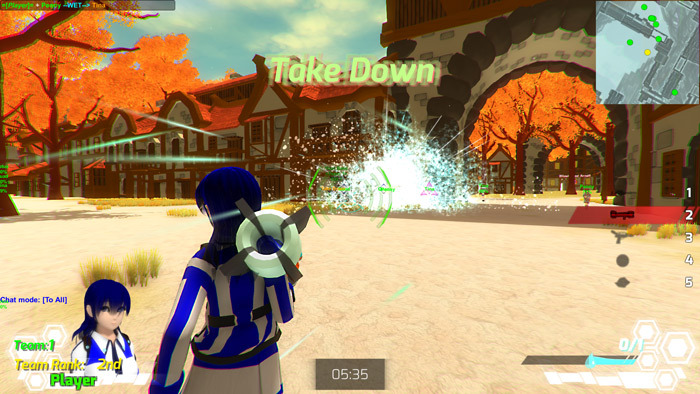 Use choose one of a variety of Japanese school girls to play as and at the moment there is only one battle arena to play in, the medieval village but others are in development. It’s certainly refreshing (not just because of the water being thrown around) to play a game where there is absolutely no violence in it although guns are used it’s only super soakers although there is one that’s rather bazooka like and probably the best gun to use although the reload speed on it can be a little slow. As with many multiplayer games that are released so early in to their development the servers are very quiet so we ended up running around playing with the AI the graphics are colorful and bright and very inviting and the controls fairly simple to pick up once you get past the unnecessarily complicated start screens however the controls can feel a bit jerky at times and there isn’t much precision involved in Battle Splash although considering it was only possible to play against AI characters it does at times provide a little challenge. There’s a lot of promise here but scratching under the surface it isn’t really anything more than a shooter in the guise of something lighter and friendlier however with some polishing and working out and if the servers were to become more popular there is definitely something good waiting to be realized here. 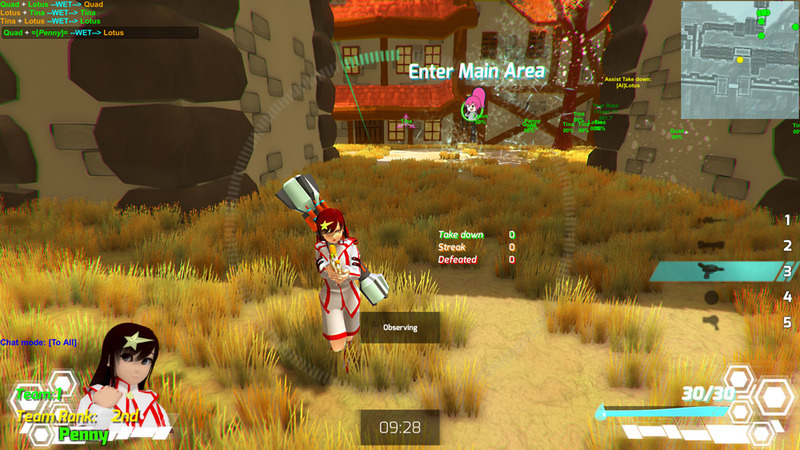 You can download the Battle Splash pre-alpha here for free.